A young biracial girl looks around her world for her color. She finally chooses her own, and creates a new word for herself—honeysmoke. For multiracial children, and all children everywhere, this picture book offers a universal message that empowers young people to create their own self-identity. Simone knows her color—she is honeysmoke. 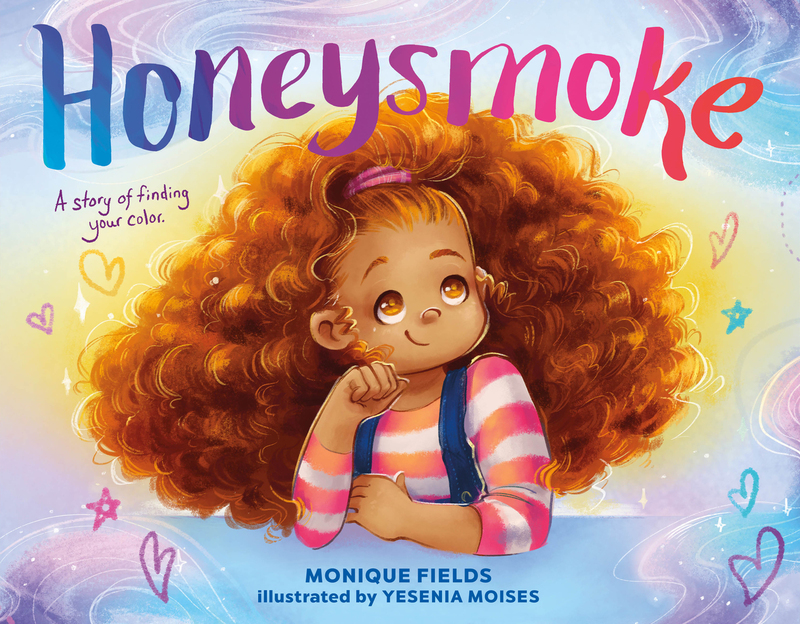 "Honeysmoke is so beautiful and true that it made me burst into tears of gratitude for what [Monique Fields] has given to us all. Honeysmoke should be in every library and gathering place of young children." Monique Fields is an award-winning journalist. Her essays about race and identity have appeared on air, in print, and online, including NPR’s All Things Considered, Ebony magazine, and TheRoot.com. She is the founder and editor of Honeysmoke.com, a site for parents raising multiracial children, and she is a member of the Society of Children’s Book Writers and Illustrators. Monique lives in Alabama with her husband and their two daughters. She is the author of Honeysmoke: A Story of Finding Your Color. Yesenia Moises is a freelance illustrator/designer with a specialty in product design. She is also an Afro Latina and random skill enthusiast. When she’s not making toys for kids, her pastimes include indulging in really silly dating sims and playing with her wildly photogenic dog Divo.